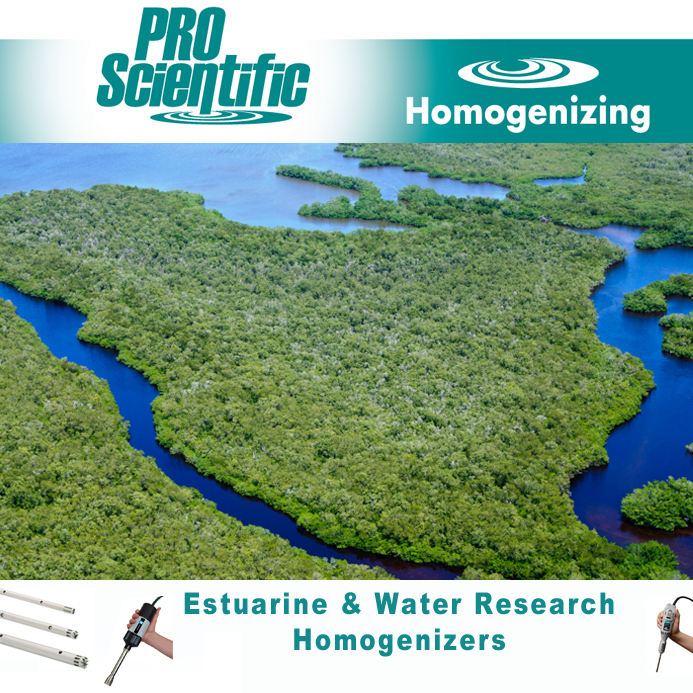 PRO Homogenizers are ideal for estuarine and other water environment research. Estuarine research is vital to solving some of the crucial issues facing our world’s coasts including, climate change and resilience, habitat protection and water quality. With their portability and precise results, PRO Scientific homogenizers are ideal pieces of equipment for these living laboratories. The variable speed of our homogenizers allows for the utmost control of your homogenization to ensure a high yield and fragment size. Most mechanical homogenizing is done in a matter of seconds with ZERO heat produced and you can continue on with your same tubes you are processing in, no need to buy special tubes and beads! The same piece of PRO homogenizing equipment can homogenize both soft and hard tissue samples.